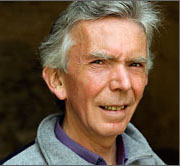 English critic Clive Coates, never one to be effusive in his praise, has designated Bonneau du Martray as one of the Top 10 Burgundy Domaines of all time and states unambiguously that the Domaine is the “best source” for Corton-Charlemagne. 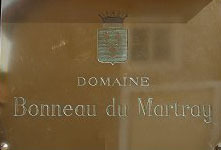 Family-owned for almost two centuries, Domaine Bonneau du Martray, is the only estate in Burgundy that produces exclusively Grand Cru wines. 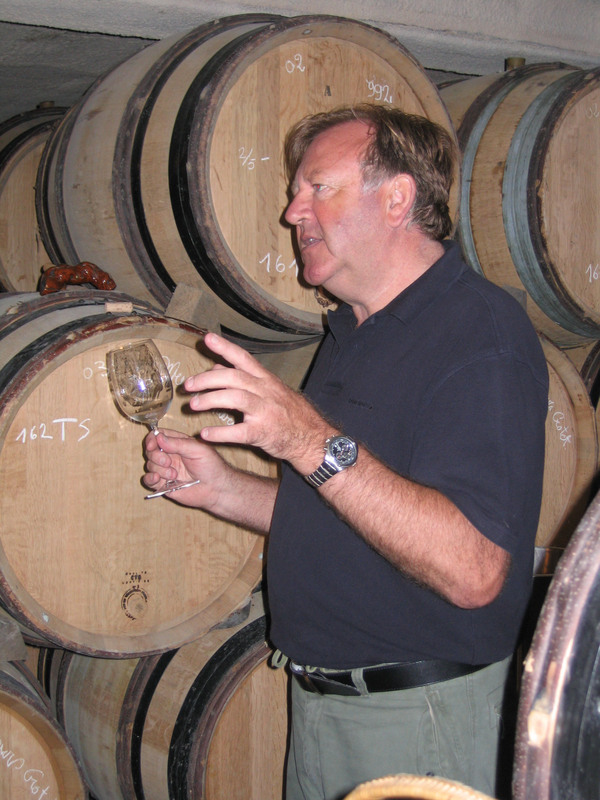 The Domaine is not only the largest single owner of Corton-Charlemagne but also the largest single owner of any one Grand Cru in Burgundy. 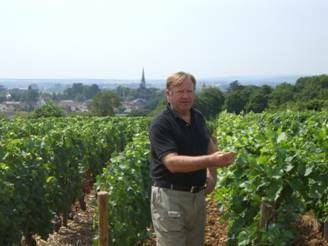 With 11 hectares of vineyards situated on the legendary Hill of Corton, within the heart of the original Corton-Charlemagne, the Domaine safeguards and indeed refines the iconic wines with direct lineage to Charlemagne. Although the entire 11 hectare estate is contiguous, it is bisected by the communal border between Pernand-Vergelesses and Aloxe-Corton. Within Pernand lie 4.5 hectares of Chardonnay vines, all situated within the climat, En Charlemagne. Within Aloxe lie 5 hectares of Chardonnay and 1.5 hectares of Pinot Noir, both parcels within the climat, Le Charlemagne. The Chardonnay grows on the upper slopes of the Hill of Corton. The soil of En Charlemagne is grey marl admixed with clay over Oxfordian limestone base. The topsoil is fragile and requires much care to maintain. The soil of Le Charlemagne, on the Pernand side, is very similar but contains more flint. The Domaine’s Pinot Noir parcel lies downslope in Le Charlemagne, and the soil contains more iron (thus is redder) and pebbles, but less clay. implemented principles of organic agriculture governed by a biodynamic philosophy. He has banished herbicides and chemical fertilizers, reduced crop yields, and promoted sustainable and renewable biological diversity in the soil. Each of 16 separate parcels of ripe Chardonnay fruit is separately hand-harvested and sorted before complete de-stemming and light extraction by pneumatic Bucher presses. Each of the parcels is then vinified separately. Fermentation begins in small, 15-hl stainless steel vats, where the juice ferments for 5-6 days with temperatures held below 18°C. After this initial period, the must goes into Allier and Nevers oak barrels, 30 % new, where it undergoes alcoholic and malolactic fermentation; and in which there is periodic batonnage. After malo is complete, the wine is racked off its lees and the wines (still-separated by parcel) are blended in tank before racking back into barrels. Before the second winter the wine undergoes Kieselguhr and sterile plate filtration and is re-racked into tank to await bottling, typically in Spring, around18 months after harvesting. 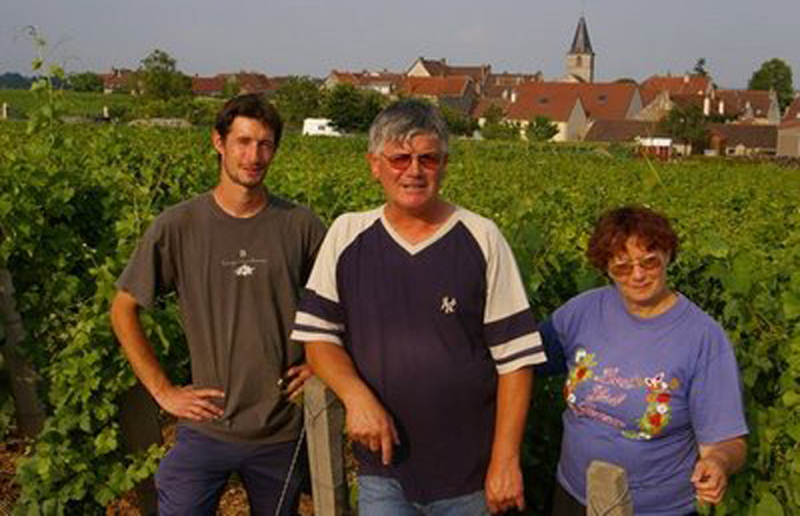 Jean-Marc and Hugues Pavelot illustrate yet again Burgundy’s apparently endless capacity to generate father-son teams that transition seamlessly from one generation to the next. Much like Michel and Frédérich Lafarge in Volnay, Pavelot Père et Fils work so completely in synch that either one could doubtless complete the other’s sentences without a change in pitch or emphasis. Domaine Pavelot, with family roots going back in Savigny-lès-Beaune to the 17th Century, currently comprises 12 hectares in the Côte de Beaune, principally in Savigny-lès-Beaune, but also in Corton, Beaune, and Pernand-Vergelesses. The heart of Domaine Pavelot lies in Savigny-lès-Beaune (locally known as “Savigny”) where the Domaine has holdings in six different Premier Cru vineyards. 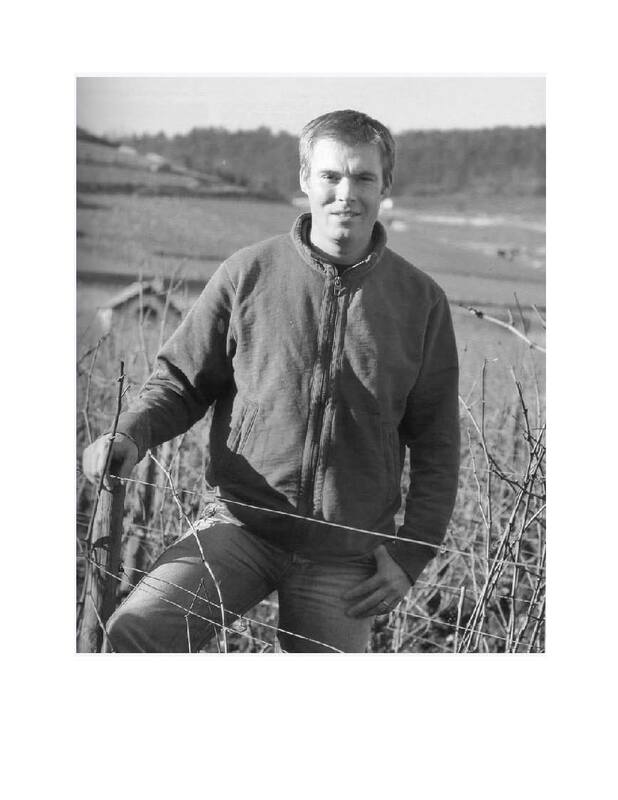 On the south-facing hillside sector lying under Mont Battois, Domaine Pavelot holds a .6-hectare parcel of Premier Cru Aux Gravains , 75% of whose vines were planted in 1930 (the other 25% in 1990), from which are produced on average 300 cases per year. Adjacent to Aux Gravains, lies the Premier Cru vineyard of Les Serpentières, in which Pavelot holds a tiny .17-hectare parcel that was planted in 1947 and yields, on average, only 80 cases a year. 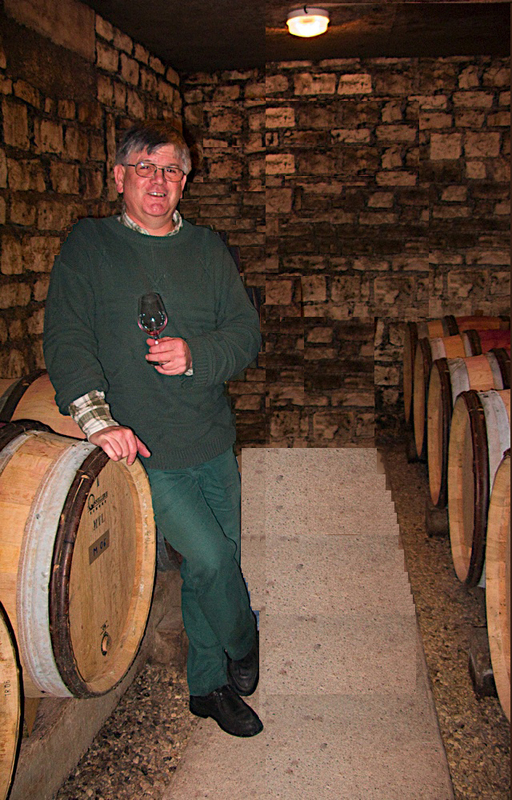 In the same sector of the appellation, also on the north of the river, lies a 1.48-hectare parcel of Premier Cru Les Guettes, planted in 1978 and producing about 685 cases annually. On the hillside closer to Beaune, Pavelot owns three additional Savigny vineyards: a .36-hectare parcel of Premier Cru Les Narbantons, planted in 1923 and yielding an average of 165 cases per year; and a .45-hectare parcel of Premier Cru Les Peuillets, planted 1n 1955 that averages 225 cases annually. 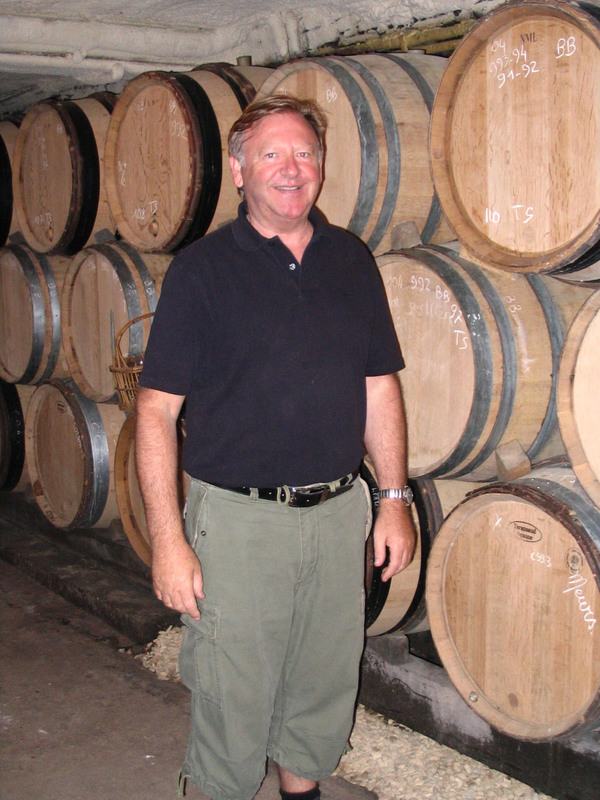 The Domaine’s largest holding is 2.21-hectare parcel of Premier Cru La Dominode, which is a lieu-dit within Les Jaurrons, and arguably the most celebrated vineyard in Savigny. The largest portion of the vineyard (45%) was planted in 1928, while 32% dates to 1973 and 23% to 1993. 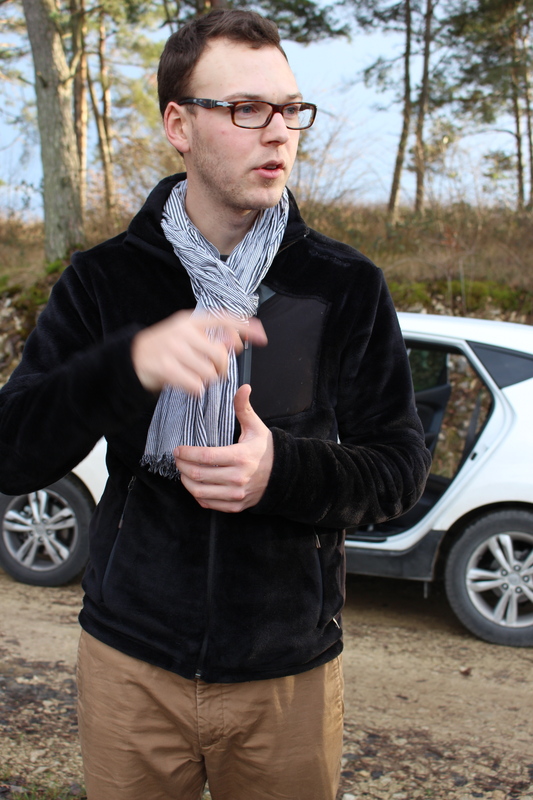 Altogether Domaine Pavelot produces, on average, about 1000 cases annually of La Dominode. 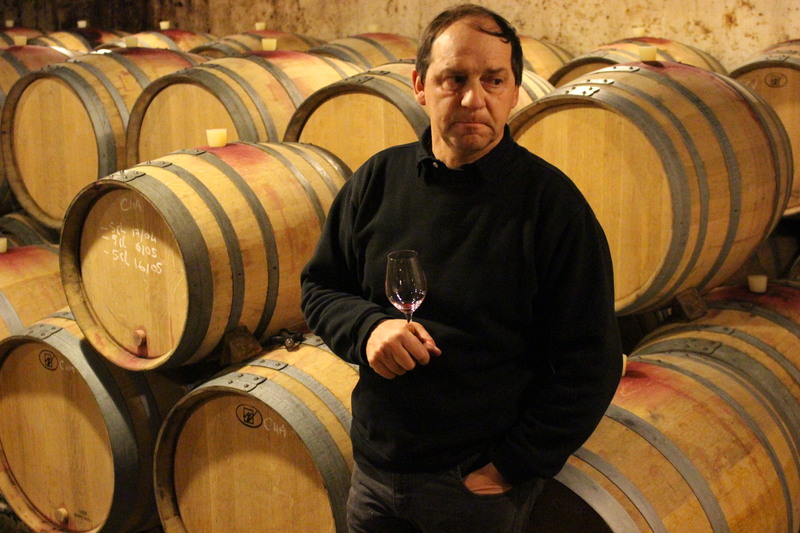 The Domaine also holds several parcels of village-level vineyards, aggregating 5.35 hectares of Pinot Noir vines averaging over 35 years of age, from which are annually produced about 2000 cases of Savigny-lès-Beaune Village (Rouge). The Pavelots, in addition, hold .84 hectares of Chardonnay and Pinot Blanc vines, from which they blend (90-95% Chardonnay, remainder Pinot Blanc) about 400 cases annually of Savigny-lès-Beaune Village (Blanc). Finally, Domaine Pavelot enjoys a few small holdings outside Savigny, including a .61-hectare parcel of Premier Cru Pernand-Vergelesses, Les Vergelesses, planted in 1975 and yielding an average of 300 cases per years; a .23-hectare parcel of village-level Aloxe-Corton, Les Cras, planted in 1953 and producing about 100 cases per year; and a minuscule .09-hectare slice of Grand Cru Corton (Blanc), Les Chaumes, from which are produced 25 cases per year. Traditionally, as well as in the hands of less skilled vignerons than the Pavelots, Savigny wines can be a somewhat lifeless, all too often caused by fruit harvested before full phenolic maturity. 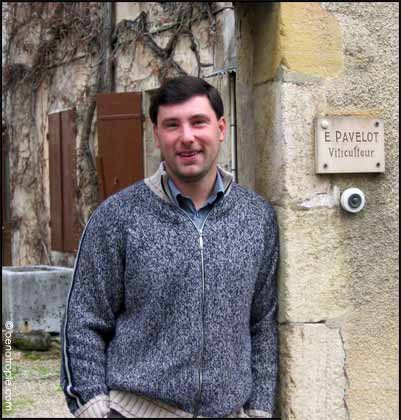 Domaine Pavelot, however, as well as a handful of other Savigny vignerons, have mastered the techniques of coaxing elegant, rich, and seductive wines out of the difficult appellation while remaining true to the Savigny terroir. 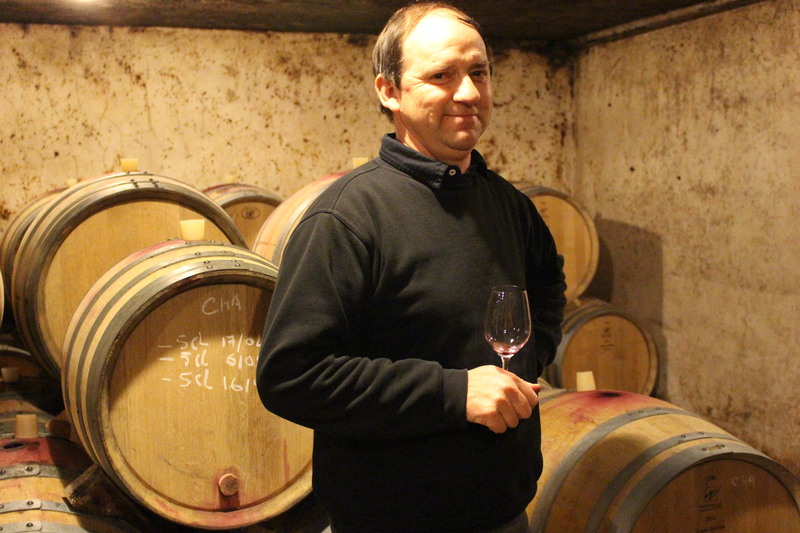 The approach taken by Domaine Pavelot is a combination of scrupulous viniculture and noninterventionist winemaking carefully tailored to the peculiarities of Savigny . The Pavelots are adherents of lutte raisonnée, a system of vine cultivation that is essentially organic and noninterventionist. Lutte raisonnée entails holistic and balanced viticultural management with primary focus on microbial health of the soil and the biodiversity of the vineyard. The governing policy is to support and maintain the natural ecosystem of the vineyard so that the vines can prosper without intervention, thereby naturally resisting pests and disease. The system pursues a reasoned and not absolutist approach, however, and practitioners of lutte raisonnée will occasionally permit limited chemical intervention if certain danger thresholds are passed, and when chemicals are viewed as less harmful to the soil than alternative biodynamic treatments. As a practical matter, lutte raisonnée can be distinguished from biodynamie in that the former implies the application of treatments only as a necessary response and the use of chemicals as a less harmful alternative; whereas biodynamie implements treatments systematically as prevention and employs biodynamic remedies like sulphur and copper that many vignerons believe are more harmful to the vineyard than chemical alternatives. Lutte raisonnée , in the judgment of its practitioners, thus results in less intervention and a flexible approach that elevates the long term health of the vineyard above organic and biodynamic orthodoxy. 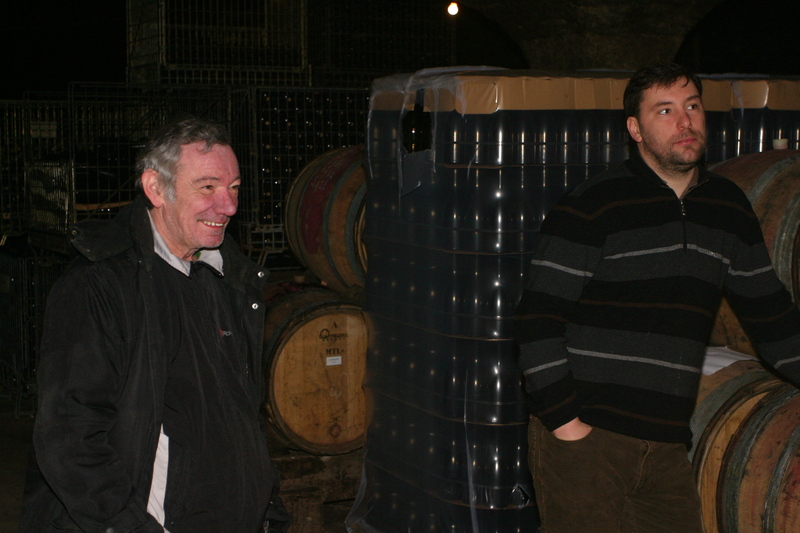 Jean-Marc and Hugues Pavelot focus on low yields and old vines to produce their wines. The vines of the Domaine average over 65 years of age, and many are almost 100 years old. Such old vines typically provide small yields of rich, concentrated fruit. In addition, the Pavelots affirmatively restrain vineyard yields through a program of close pruning, de-budding, and vendange vert if necessary. In addition, only focused and restrained use of organic fertilizer is permitted. The vines are manually harvested and carefully sorted in the vineyard to remove any imperfect fruit. 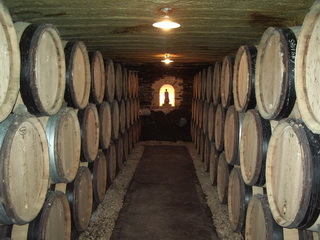 The clusters are then brought immediately to the cuverie where they are subjected to a second round of triage. 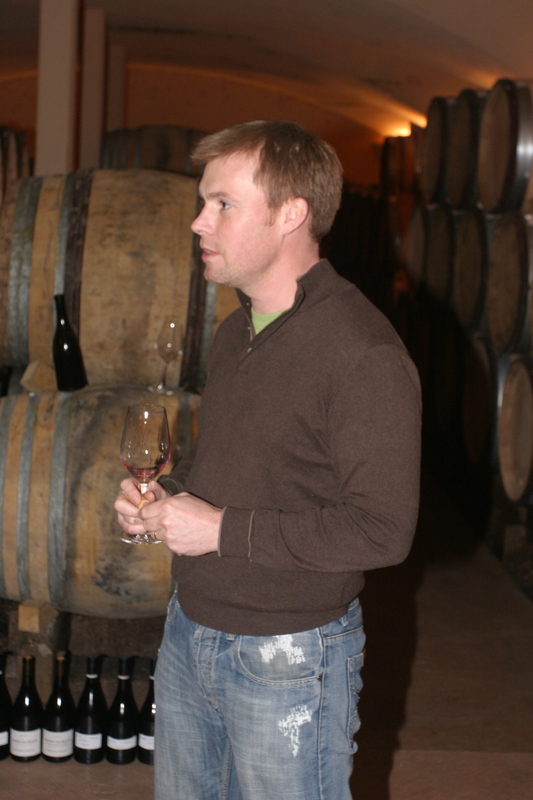 All of the Regional, Village, and much of the Premier Cru is then completely de-stemmed. Partial clusters of Dominode and Bressandes are left intact. A pre-fermentation maceration follows for 4-5 days, with temperature restrained to 12° C. The must is then slowly permitted to warm up to ambient cuverie temperatures, at which point the naturally-occurring yeasts generate alcoholic fermentation. Temperature-regulated fermentation continues 12-15 days for Village wine and 15-19 days for the Premier Cru. During this period there is twice-daily pigeage (punching-down); toward the end of the process, there may be some remontage (pumping over) until all the sugar is converted into alcohol. 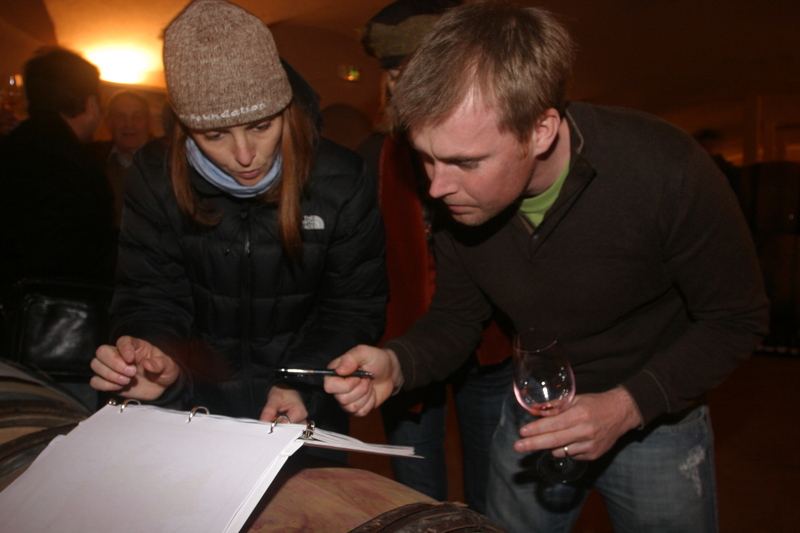 Selecting termination date for cuvaison is a critical decision at Domaine Pavelot, one seen as greatly determinative of the character of the wine. The decision is predicated on careful evaluation based on tasting and experience. 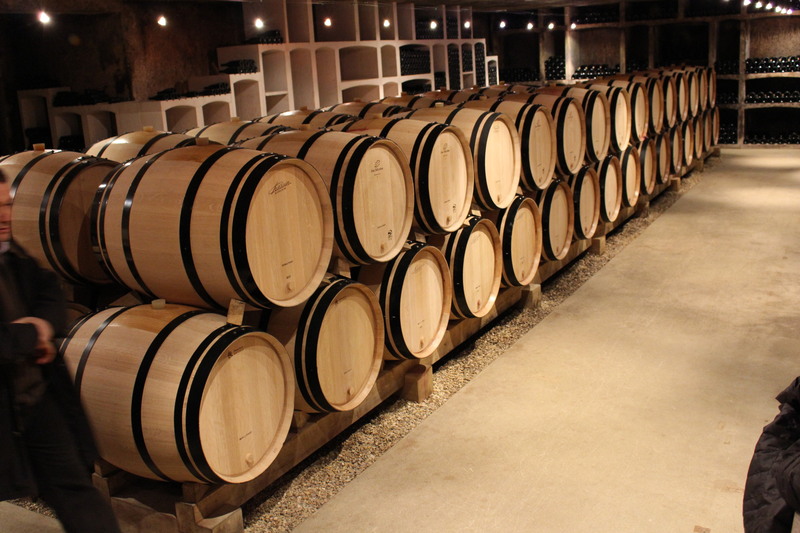 After a débourbage (settling of gross lees) of 24-48 hours, the wine is racked into French oak barrels (10-30% new), the choice of toast, percentage of new oak, and the origin of the barrels, all dependent on the vineyard. For example, Aux Gravains is treated to 25% new Tronçais barrels with light toast, whereas La Dominode enjoys 30% new Aliier barrels with medium toast, while Pernand-Vergelesses, Les Vergelesses is racked into and aged in 25% new Allier barrels with heavy toast. The wines are barrel-aged on their fine lees 10-12 months for Village-level and 12-14 months for Premier Cru, and then assembled in tank by appellation, resting there for a month or two before bottling, with light filtration, only if necessary.